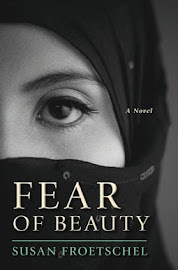 In using fiction to address social problems, an author does not want to be too extreme with imagined scenarios, easy to do in the thriller and suspense genres. Overly biased stories will turn off many readers. While first thinking about charities in early 2011, arguing that the spending may not be in line with democracy, I felt very much alone. Politicians and citizens raved about big charities. I felt ungrateful, cynical, but still felt compelled to write a story about a good woman who is hurt, overseeing a foundation and manipulating billions of dollars for funding in the developing world. 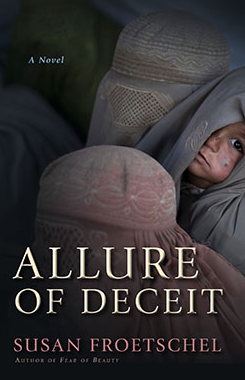 A string of news stories since February of last year, when Allure of Deceit was released, suggest my critique of big philanthropy may not have gone far enough. "As institutions like the Gates Foundation take increasingly leading roles in policymaking and governance, McGoey argues, the line between traditional notions of charity and top-down consolidation of power becomes unclear; and with this largely unchecked influence, philanthro-capitalists, like Bill Gates, have pushed countries across the world to accept market based solutions for crises like education inequity and disease proliferation—despite evidence that these problems are often rooted in actions taken by those philanthro-capitalists themselves." McGoey points out that giving can be shrouded in secrecy, that it can be strategic and designed to support goals of donors; wealth is often transferred among the rich, and taxpayers subsidize charitable endeavors by giving up tax revenues. The system reinforces inequality. The interview concludes: "The amassment of wealth doesn’t naturally endow any individual with leadership ”rights.” But that is what’s happening: the assumption that wealth confers exceptional public duties and that we owe deference to individuals who part with their fortunes. That assumption has no merit—at least not in a democratic nation." Philanthropy is a worthy tool, and becomes treacherous when lacking in transparency or applied in selective ways. In defense of some major charitable organizations, some programs tackle problems head-on and worldwide - like the Gates Foundation goals to eliminate polio or encourage libraries. Other programs are dangerously selective and often mask political agendas. In a world with limited resources, people must decide if problems, especially "absolute poverty," are best solved by government or charitable giving. Do philanthropy and the associated lobbying weaken government and come with hidden agendas? Philanthropy is a worthy tool, but not when it diminishes respect for government. 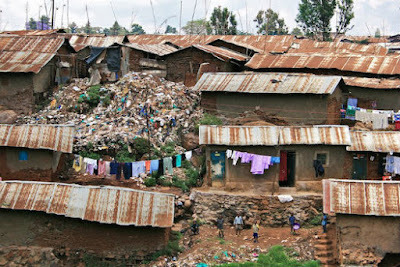 Photo of a Nairobi slum, courtesy of Africa.org.